It's another Tutorial Tuesday on my blog today! 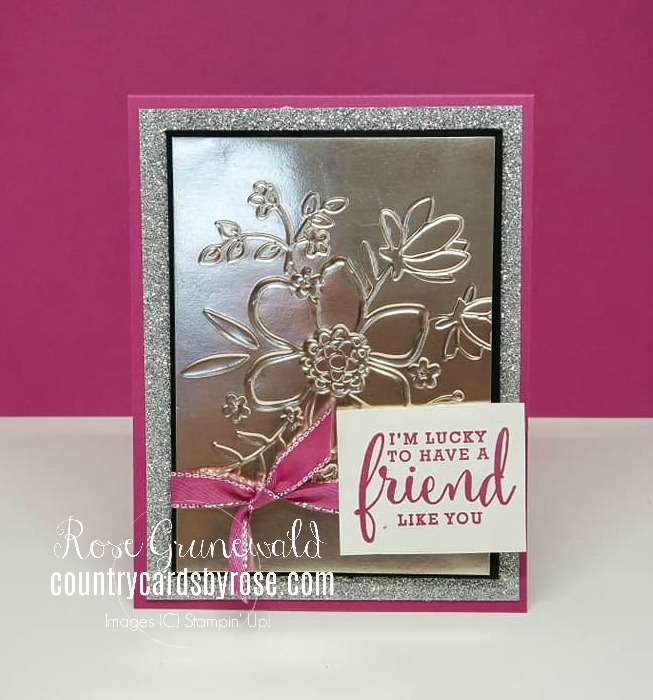 I'm featuring the pretty NEW Lovely Floral embossing folder (one of my FAVORITES from the new catalog). 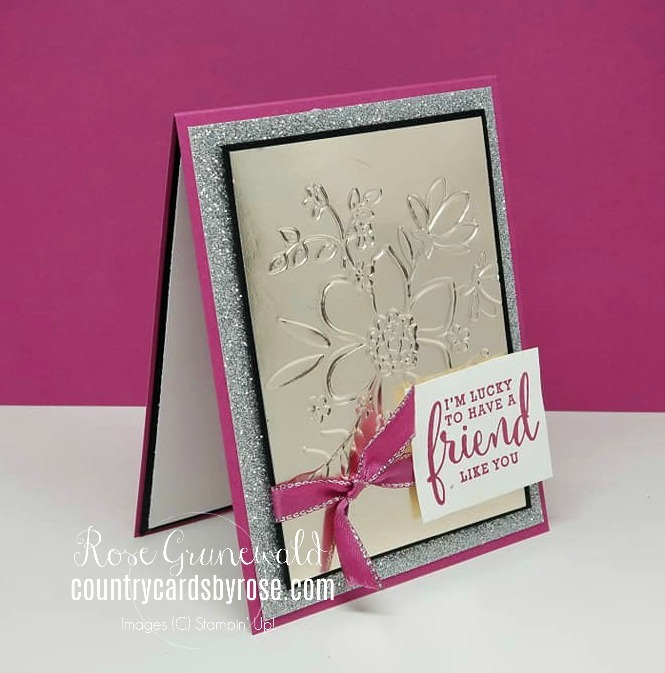 Remember you can get this embossing folder in the Gotta Have It All Bundle before it goes live in the new catalog. This bundle is a GREAT deal with a discounted price and some free goodies from Stampin' Up! thrown in to boot (love!). I'm also giving away a 50-Card Tutorial pack as my special gift to you when you purchase this bundle from me. 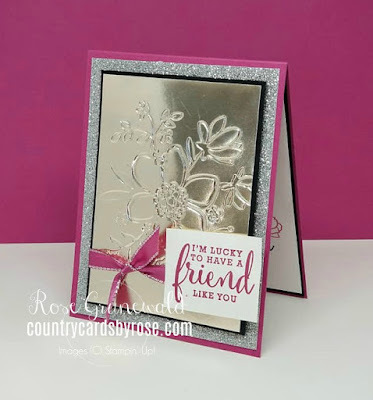 Did you know you can use your embossing folders with foil paper? It makes for an absolutely STUNNING image! 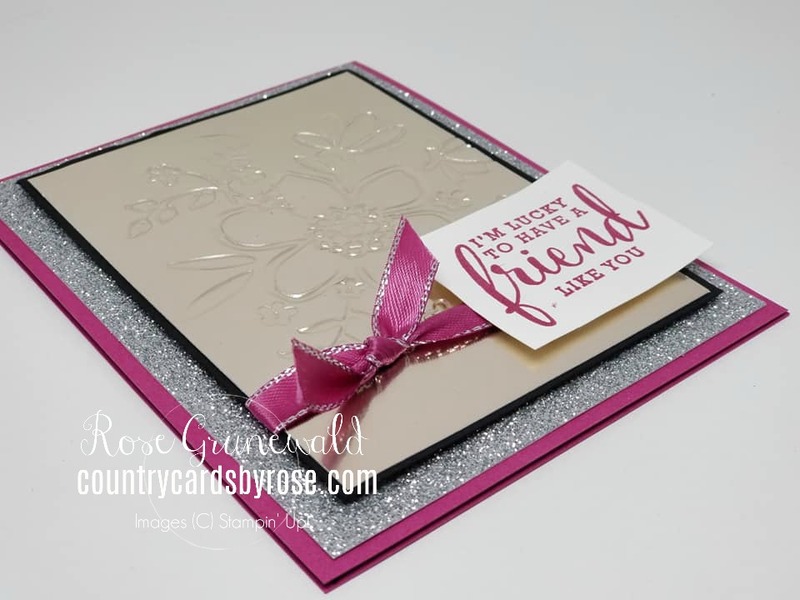 I've got a video for you showing you how I made this card, just click the video below, and while you're there, make sure you SUBSCRIBE to my YouTube channel! I've listed the step-by-step instructions for making this card below. You can also click HERE to get a printable PDF version of this tutorial. 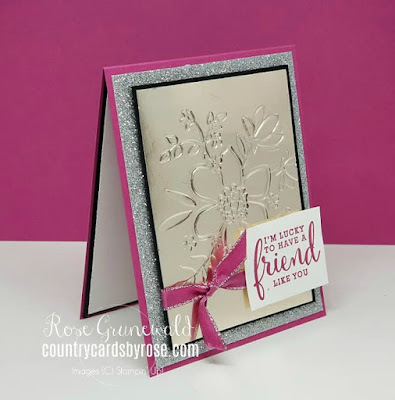 Emboss Champagne sheet with Lovely Floral embossing folder & adhere to basic black layer. Wrap ribbon around adhered layers and tie in a knot. Adhere glimmer paper to card base. Using Dimensionals, adhere embossed layer to glimmer paper. Stamp sentiment on scrap of whisper white. Trim around sentiment with paper snips. Adhere sentiment to card front with dimensionals.